If you are taking in too many carbs, you should reduce that starting today. At first, you may not be sure how you plan to do this but you can learn more about it right here. Most American citizens take in way too many carbs and that leads to a mountain of health issues. You need to reduce your intake of carbs and focus on eliminating sugar from your diet as well. 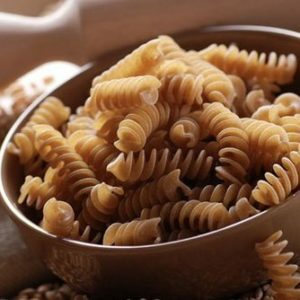 You may think that it will be too complicated to lower your intake of carbs but it can be simple. You may not realize it but condiments and pre-made sauce are unhealthy for you. The majority of condiments, sauces and salad dressings have a lot of sugar and/or higher fructose corn syrup. When you cut these from your diet, you reduce your intake of carbs. This is especially true if you have been eating many condiments and pre-made sauces every day. To replace these in your diet, you should eat more olive oil, avocado or hummus instead. You should also add protein to your breakfast. This will help you to keep feeling fuller for a longer time over the course of your morning. If you have been eating bagels, donuts, bread or cereal for breakfast, you need to substitute these for others foods. Instead of those, you should be eating low-sugar yogurts, eggs, cheese and leafy greens. You need to stop drinking sweetened beverages and sugary juices if you want to reduce your carb intake. If you are used to drinking sweet tea, soda and sugary juice, make sure you end that today. It might be good to add some juice to your diet as long as you avoid the higher fructose juices. If you drink too much coffee or dairy products, you should avoid this too. If you are used to eating crackers or chips, you should start eating more nuts instead. Yes, crackers and chips may be some of the tastiest snacks but they are filled with unnecessary carbs. You can start cutting them from your diet and eating nuts instead. A little handful of tasty nuts will fulfill your hunger and give you many great health benefits too. You should also stay away from sweetened yogurt. These are very high in carbs because they have many sugars added to them. Instead of the sweetened yogurt, eat cottage cheese or plain yogurt instead. If you want more of a taste to it, add in some fruit, jam or honey. Yes, you read that just right. No fast food if you want to reduce your intake of carbs. Fast foods are very high in the simple carbs and other unhealthy ingredients. When you cut out your fast foods, you will have a smaller waist line, better heart health and reduce your carb intake too. It might be quick and easy to thrown a frozen meal into the oven or microwave. However, these are processed foods and often so full of carbs. Start eliminating frozen meals including pizzas, pastas and others from your diet. You can make your own meals and freeze them if you want as long as they are healthy and low in carbs. When you think about tasty meals, you may not think of leafy greens. However, to reduce your intake of carbs, you should have more leafy greens. You may think that you can just get in other vegetables and fruits but those have some carbs. 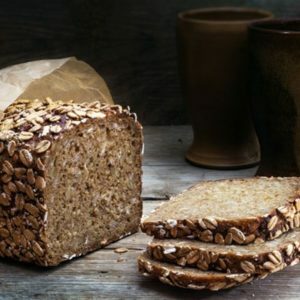 They might be good for your fiber, mineral, vitamin and anti-oxidant intake but the carbs aren’t good for you. Instead of choosing higher carb fruits and vegetables, get leafy greens instead. You will benefit greatly from reducing your intake of carbs. Follow these tips to starting lowering your carb intake today. Previous ArticleShould You be Eating Yellow or Green Bananas? Next ArticleIs Chewing Gum a Helpful Weight Loss Method?